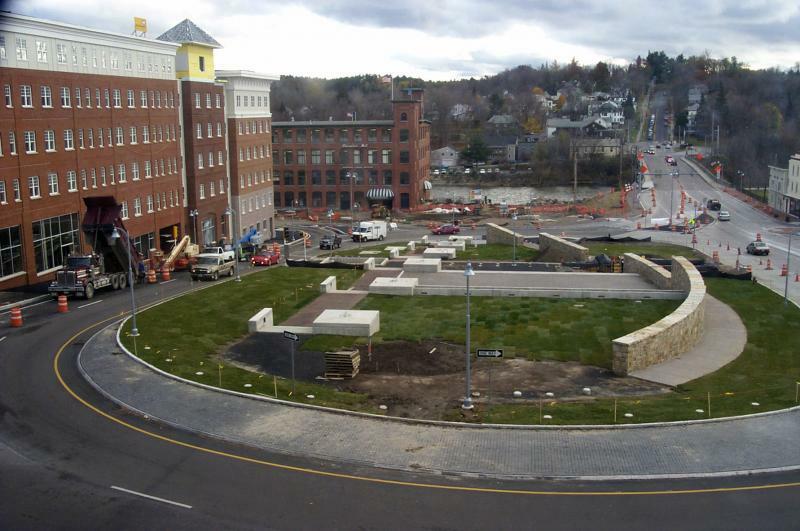 This final photograph from a four part series documenting Winooski's urban renewal gives a view of the newly constructed rotary. To the left of it the unfinished Spinner Place apartment complex can be seen. 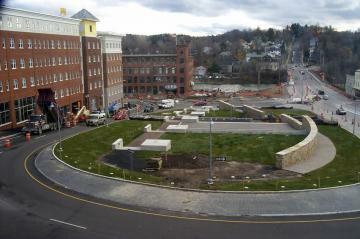 Construction equipment sits in front and rows of rectangular windows look out onto the grassy center of the rotary. 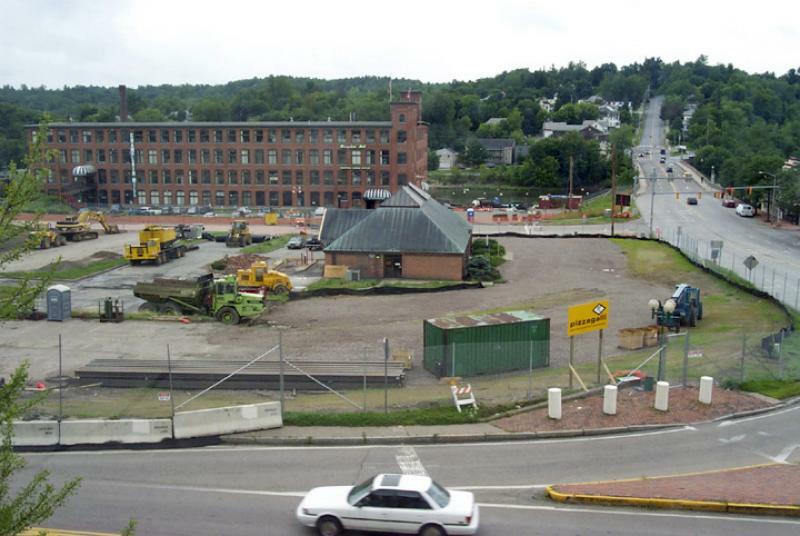 In the top right corner of the frame, one can see Main St. running up the hill toward Burlington. 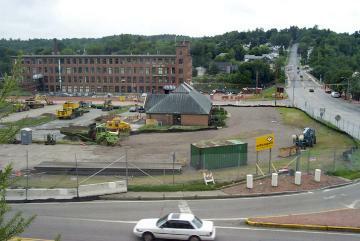 In front of the Winooski River, part of a four-story brick building can be seen. Behind it and across the river, trees and houses are visible in the distance. Several vehicles can be seen driving.